Especially for those of us who struggle with oily skin, summer is that time of year when our face is constantly greasy and immortalized by shiny-faced photos. But, as I discuss in the benefits of having oily skin, the sebum (oil) that causes the shine is actually our friend. Did you know, for example, that it helps protect us from damaging sun rays and pollutants? How amazing is that?! Skin adapts to its environment, so perhaps its time to adapt our moisturizing routines to it as well. 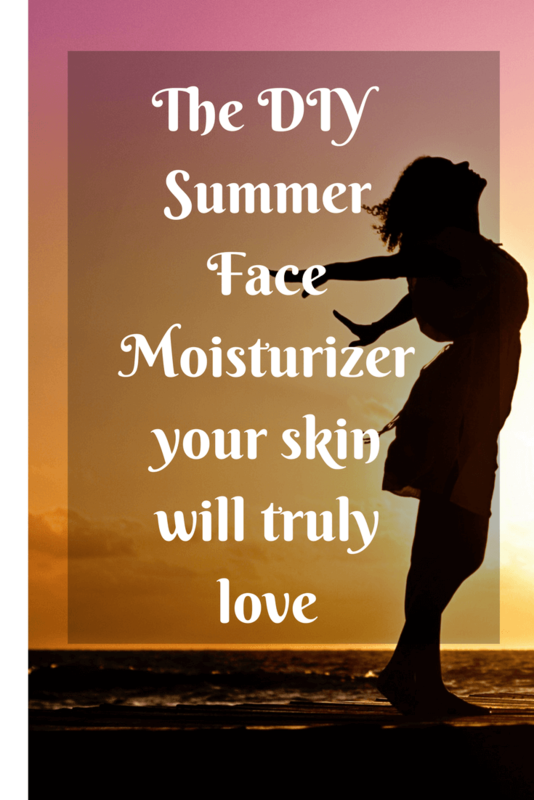 I talk all about it in the seasonal approach to moisturizing, but here I’m sharing my summer moisturizer and the reasons for why it is so beneficial and complementary to your skin’s summer needs. In a clean container pour the water and sprinkle the HA on its surface. You will notice that the HA powder will float on the surface and not mix in- this is ok and DOES NOT require any intervention to mix it in. Cover the water with HA floating on its surface with a lid or plastic wrap, and put it in the fridge. After about 24 hours you will notice that the powdery layer is gone, and that if you stir the mixture, it has turned into a gel-like substance. At this point add about 4-6 drops of your favorite essential oil(s) and store in an airtight container. Apply about a dime size amount to your face, just as you would any other cream. HA is a clear, lubricating substance that our bodies already produce. It is most concentrated in areas like the skin and joints, where it aids in retaining moisture, improving elasticity, hydrating, and retaining collagen. HA’s properties are so versatile that it’s used in a variety of treatments, such as for joint support and eye protection from injury. But, here we’ll just focus on it’s benefits for our skin. Hyaluronic acid is a humectant, which means it absorbs and retains moisture from its surroundings.. it actually holds about 1000 times its weight in water! 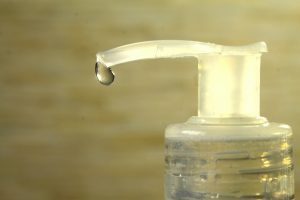 That means that if, for example, you put it on freshly washed skin, not only will it lock moisture in, but it will also absorb moisture from the air and give your face a day-long healthy glow. A HA gel is the perfect DIY summer alternative for those looking for a hydrating and soothing moisturizer. During warmer months, our skin tends to sweat and produce more protective oils already on its own, HA gel complements our skin’s natural defenses. Similarly, it can be applied to localized burns, cuts, ulcers, or any kind of superficial wound. As always, though, use your common sense! Personally, I use HA as a face and body gel after every shower, and apply it more frequently to skin that has been possibly over-exposed to the sun. As the months progress, and sadly, the colder more drying months approach, I top off my moisturizing routine with my wonderfully simple and effective winter moisturizer. And I must admit, my skin has looked healthy and moisturized ever since.